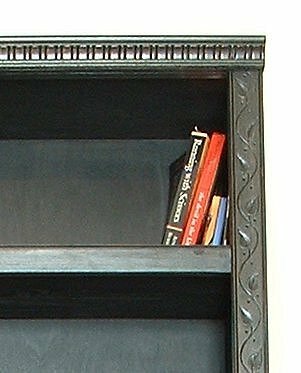 Pine bookcase with vine-embossed trim. Black stain with wiping varnish. 75 inches tall, 33 inches wide.